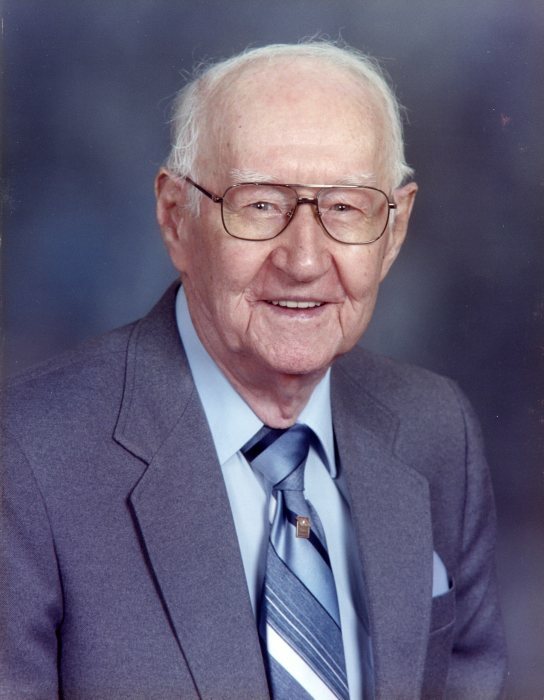 John Chester Vaughn, age 109 of Dallas, GA, passed away at WellStar Tranquility Hospice on October 19, 2018. He was born on June 25, 1909 in Chamblee, GA to the late John Lewis and Nancy Hopkins Vaughn. As a young man he was a Baptist minister and Music Director, employed with Georgia Power and Transportation operating the streetcars in Atlanta, later when the two split he worked for Marta until 1972 as a Bus Driver. He was preceded in death by his wife, Edith Elenora Bagley Vaughn; son, Ralph David Vaughn, Sr.; brother, Charlie Vaughn; sister, Ruby Vaughn and granddaughter, Nancy Lynn Davis. He is survived by his daughter-in-law, Gussie Mae Vaughn; grandchildren Elaine (Danny) Hughes of Hiram, GA and David (Dianne) Vaughn of Douglasville, GA.
Funeral services will be held on Monday, October 22, 2018 at 1:00 p.m. from the Clark Funeral Home Chapel with Rev. Lisa Dempsey officiating. Interment will follow at Crest Lawn Memorial Park at 3:00 p.m. The family will receive friends on October 22, 2018 from noon until 1:00 p.m.